This exclusive formulation combines the purifying properties of Activated Charcoal with a complex blend of bioactive, natural and organic plant extracts. Activated Charcoal works by deeply cleansing and effectively removing impurities. 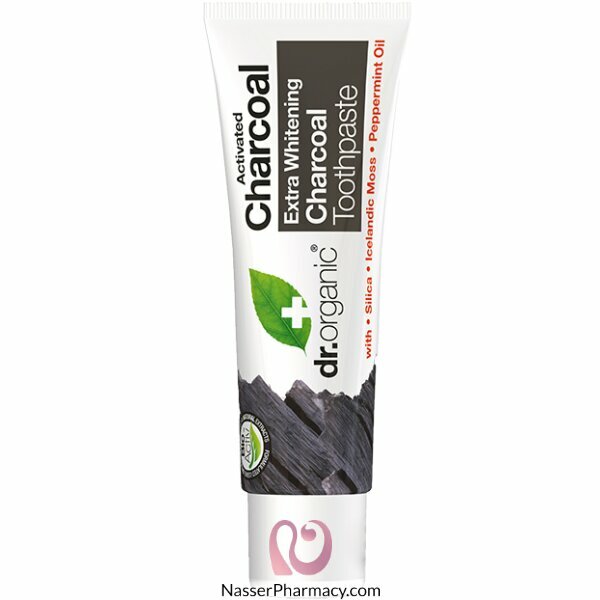 Dr Organic Charcoal Toothpaste has been expertly formulated to help whiten, cleanse and protect your teeth. Suitable for Vegans. Children of 6 years and younger: Use a pea-sized amount for supervised brushing to minimise swallowing. In case of intake of fluoride from other sources, consult a dentist or doctor. For oral use only. Avoid contact with eyes. Do not apply to broken or irritated skin. If sensitivity occurs discontinue use. Avoid this product if you are allergic or sensitive to any of the ingredients. Keep out of reach of children. Do not use on animals. Store in a cool dry place. The milk teeth of children have a finer and less mineralized enamel than final teeth. Elgydium Kids ..